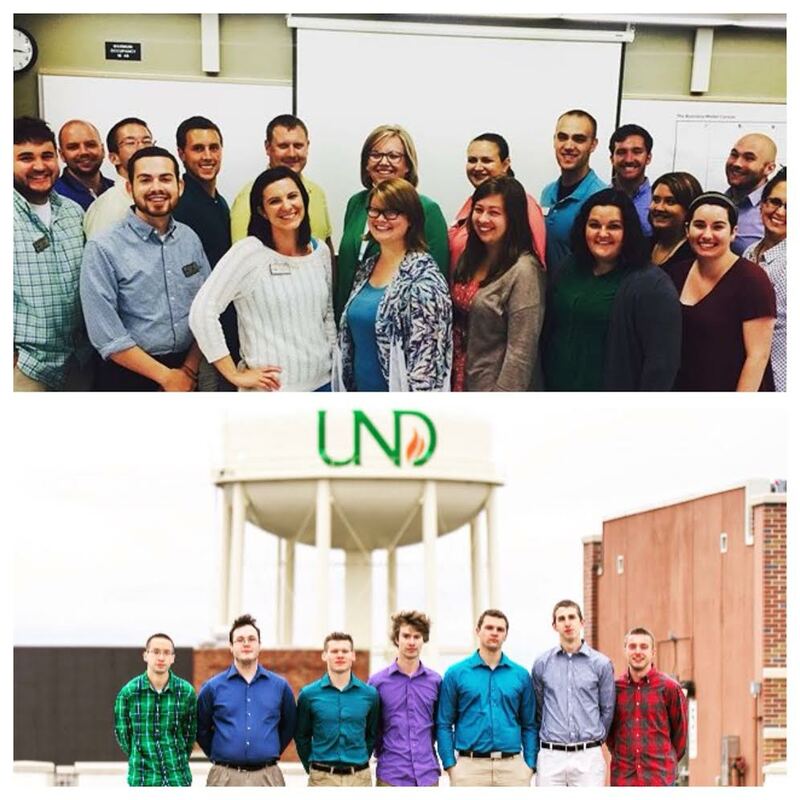 Coming to UND was a scary feeling since I had no idea who I was going to work with. I did not really know anybody so I was hoping to be working on a great team. From the moment that I got here, I have felt at home from everybody’s willingness to help. I am glad I get to go through this crazy journey of being a Hall Director with awesome and wonderful colleagues. I have also had a great experience supervising my Resident Assistants. I had no idea how I was going to do being in charge, but working with these seven has been a blast. Working with these two groups has made me thankful for where I work. Right now I am working on a team 12 other Hall Directors with 4 Residence Life Coordinator overseeing us.From training many friendships started to form and I knew that I was in the right place. Weather it was my third day being here and having a tornado warning then meeting two other hall directors in the underground tunnels or the random fun nights that have happened in between. It is good to know that I work with positive people who are always here to support me. Whenever I need to talk someone, there is someone always there with a listening ear. Our supervisors are always willing to give us advice and help as well. As we are going through graduate school classes it is good to have someone to ask for help. I like having people who I can study with and help me understand things when topics get tough. My coworkers make my job more enjoyable and I am thankful for that. My Resident Assistants are the other group that I am thankful that I get to work with. It was nerve racking knowing how I would be in charge of making sure this all male staff did their jobs. Working with these students has made my job a lot more fun. Sometimes we may not always agree and they are not afraid to challenge me, which is what I love. They have done some amazing thing for our community. I cannot wait to see all the powerful things these guys do next semester. I love when they are able to do awesome things for our building and their residents. It is an amazing experience to see how much they have grown since August. These guys are what make my job worth it and I am thankful for that!